HOUGHTON — During the winter months, fire departments see an increase of house fires often times causing serious injury or worse. That’s generally attributed to residents trying to battle the cold temperatures with additional heating sources. ABC 10’s Keweenaw Bureau Reporter Lee Snitz has some tips on staying safe this winter. The Christmas tree is found in most American homes this time of year with twinkling lights, sometimes candy canes, and an assortment of ornaments, but it has also been known to devastate a family’s holiday season in some cases. Energy efficient LED lights and other advancements in technology may be showing a decline in tree related house fires, but residents should be aware that there are plenty of other hazards in their home. Space heaters are not necessarily a hazard themselves, but they do use a lot of electricity, and if they’re running for a extended period of time- they can create heat in the wiring of a home and that can cause an electrical fire if the wiring is outdated or inadequate. If your running a space heater in your home or business its a good idea to unplug everything else that is using that circuit. This will help to prevent an overload. 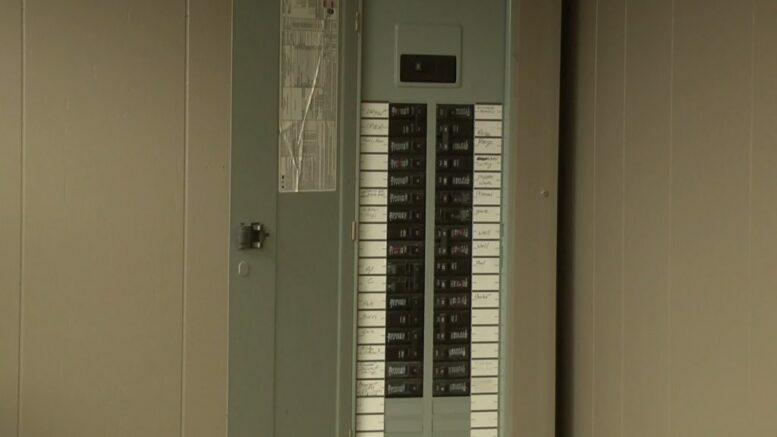 And a big No No is replacing blown fuses or circuit breakers with one that is larger than specified. Another precaution that is essential is checking the alert systems in your home. When buying batteries for those gifts that are labeled with the all too familiar phrase “Batteries Not Included”, it’s a good idea to pick up a couple of extra 9 volts and replace what’s currently in your smoke detector. It could save lives if the unthinkable were to occur.